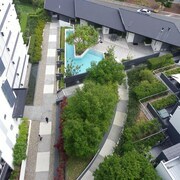 The apartment was well located in Kangaroo Point, it was comfortable and spacious with a very usable courtyard. 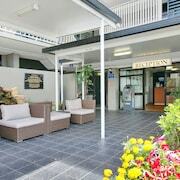 Hotel has a huge range of dining and shipping options within a small radius and is well situated for the 'Gabba, Kangaroo Pt, and CBD. 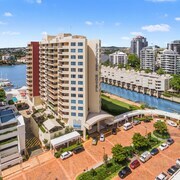 Very spacious apartment 2 bedroom, lounge, 2 bath and kitchen with everything you need including dishwasher, microwave and large fridge, pots and pans plenty cutlery and china, large patio balcony with outside seating and table, fabulous view overlooking river and kangaroo point and botanical gardens. 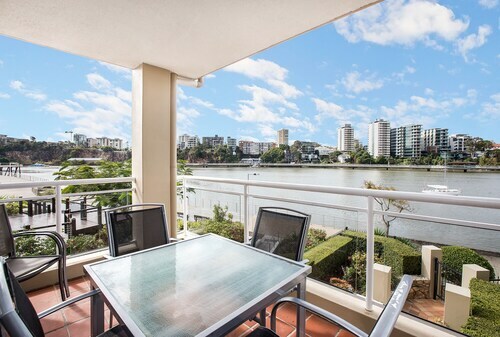 Centrally located at Kangaroo Point with nearby access to a number of restaurant and cafe options, pubs and bars and convenience stores. 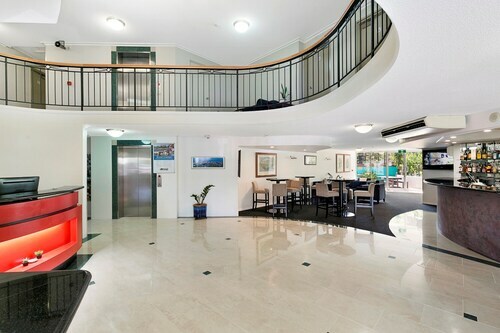 One night to attend a wedding at Kangaroo Point & Reception at the Exhibition & Convention centre, hotel well located, heaps of restaurants in South Bank just around the corner. 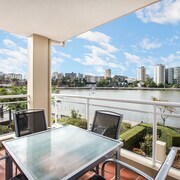 I stay at Dockside most times I come to Brisbane, it is close to the city but Kangaroo Point is a bit quieter, so easy to escape the intensity of the City. 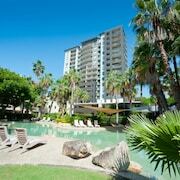 Which hotels are closest to the Kangaroo Point airport? 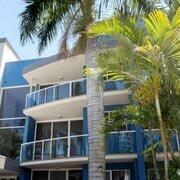 Where to stay near top Kangaroo Point attractions? 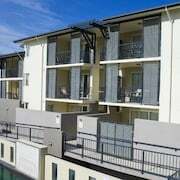 What kind of hotels are in Kangaroo Point? 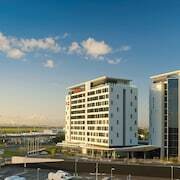 Which hotel chains are in Kangaroo Point? Families will find kid-friendly activities in Kangaroo Point, and visitors give high marks for the riverfront and top-notch restaurants. Welcoming and walkable, this city also attracts tourists with its bars. 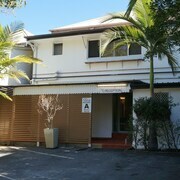 The Gabba, Queen Street Mall, and Brisbane Convention and Exhibition Centre are some of the top sights around the area. 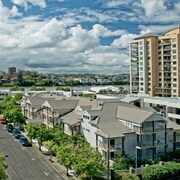 The city's natural setting is picturesque, including the riverfront and Kangaroo Point Cliffs. Additionally, you might want to add St. Mary's Anglican Church to your agenda. 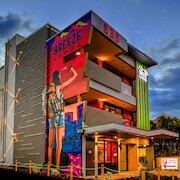 Breeze Lodge - Hostel - This 2-star hostel in Brisbane Central Business District features free breakfast, free WiFi, and a rooftop terrace. It's a favorite with Expedia travelers for its helpful staff. 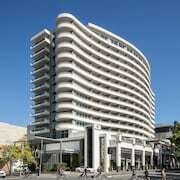 The Point Brisbane Hotel - Our customers like the dining options and proximity to shopping at this hotel. 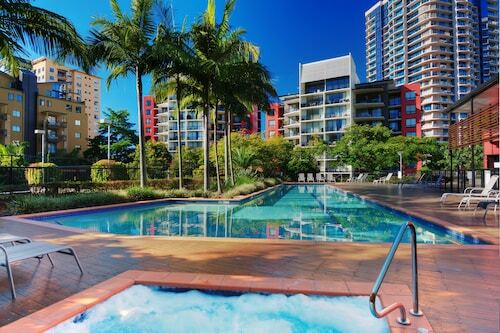 This 4.5-star hotel in Brisbane Central Business District features a restaurant, an outdoor pool, and free WiFi. 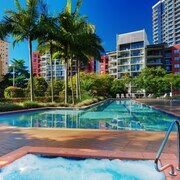 The Docks on Goodwin - This 4.5-star apartment in Brisbane Central Business District features an outdoor pool, free WiFi, and free parking. Expedia customers like its family-friendly amenities and pool. 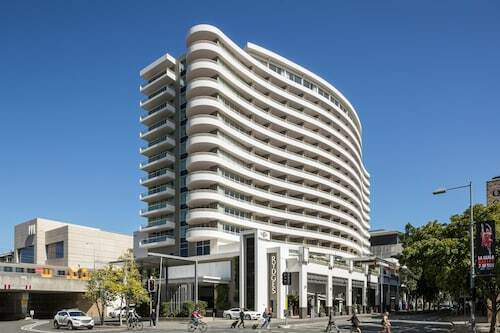 Outside the city, popular places to see include The Gabba, located 0.7 mi (1.1 from the city center, and Queen Street Mall, which is 0.8 mi (1.3 away. 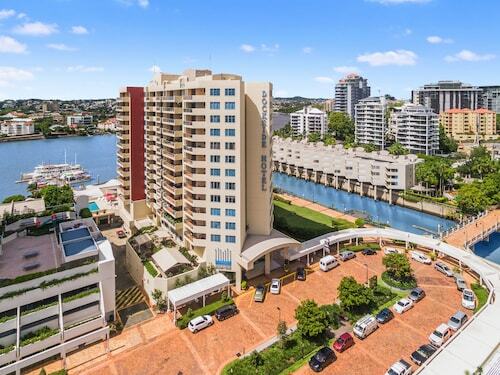 What are the most popular hotels in Kangaroo Point? 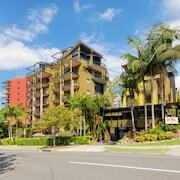 Are there hotels in cities near Kangaroo Point? 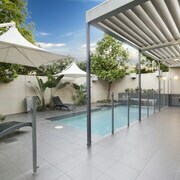 Explore Kangaroo Point with Expedia.com.au’s Travel Guides to find the best flights, cars, holiday packages and more!